Sponsorship is essential for any events and sports club. For this sponsorship is necessary and for it, request letter should be written, and it should include all the details of the events, budget, and other arrangements. Sponsorship request letter could be for students who want to apply for their educations and further studies. 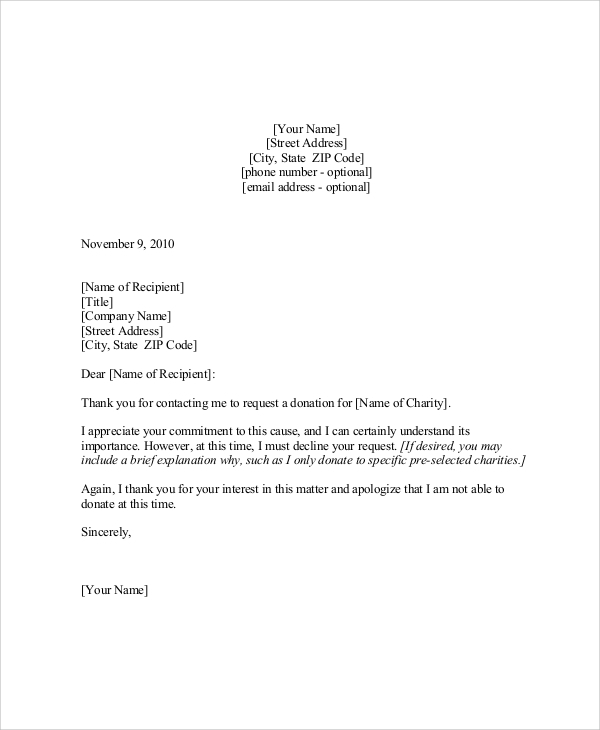 The request letter should be formal and precise with all the vital details.You can also see Vacation Request Letters. 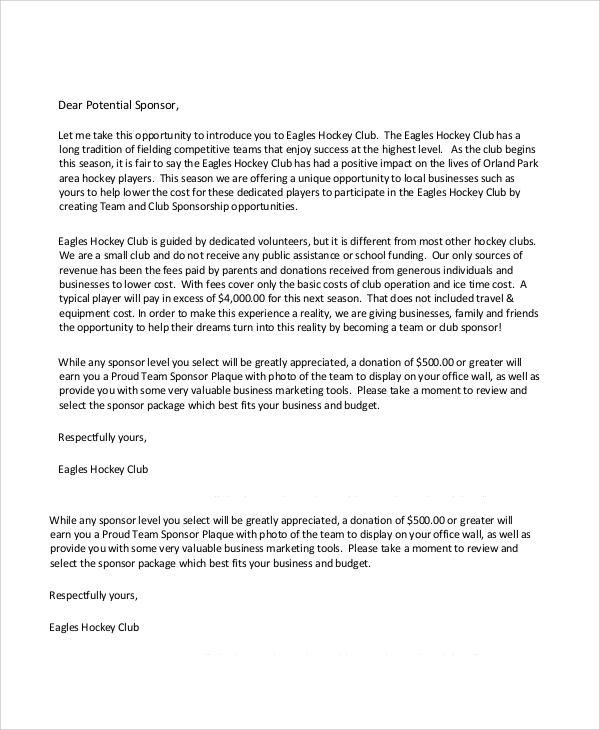 Team sponsorship request letter is written by the club and more which are associated with sports and such club request financial support to carry their productive active which develops youth in particular sports like soccer, cricket and more. As Club develops sportsmanship, leadership, teamwork and fair play in youth which is going to help them in rest of their life. Personal sponsorship request letter is written by the club to a potential sponsor which are there in their area. As club gets a fee from student parents who are nominal and sponsorship is the only way to get financial support. Club seek sponsorship to facilitate latest equipment for team as well as help them to take part in the competitive tournament. Sponsorship request letter is written by the college, university or more in which they intimate particular student that particular financial cost will be bear by college and its subject to actual details provided by the student. The same student will be provided sponsorship and granted the scholarship. Sometimes students or event organisers applied for the sponsorship request and on the basis of some rules and regulation this type of request can be declined. 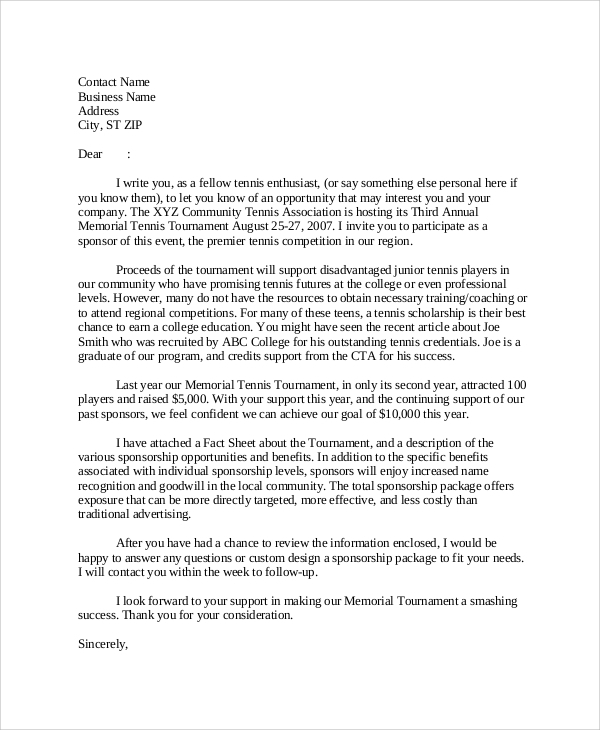 The sponsorship request decline letter conveys the declining of the sponsorship and reason for the same. The template is fully customizable and well organised. NGO or social activities needs to send such sponsorship request letter It includes all the brief information about the students and their eligibility proficiency. 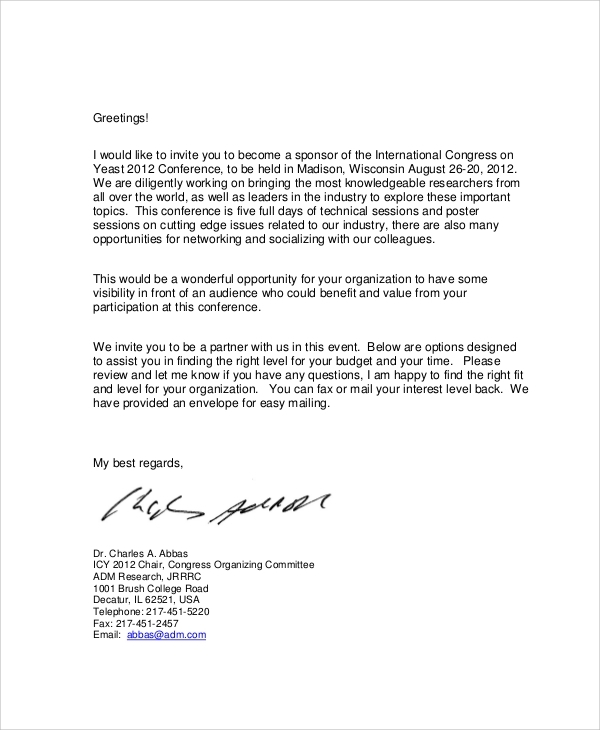 In response to such request letter, the company can reply their consent or decline. It is an essential formality to convey the sponsorship request letter, and it should include all the details of the person and its reason for requesting the sponsorship. The application letter should express the capabilities and eligibility of the candidates. 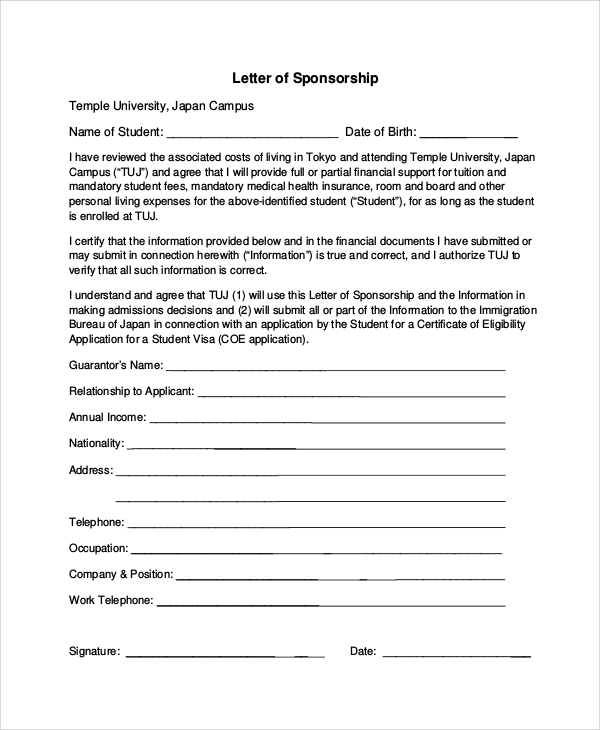 Sponsorship Request Letters is mainly sent to the company or university for sure sponsorship students for its study or sports activities or competitions. It is beneficial to contain all the information and essential details about the purpose for which the letter has been sent. 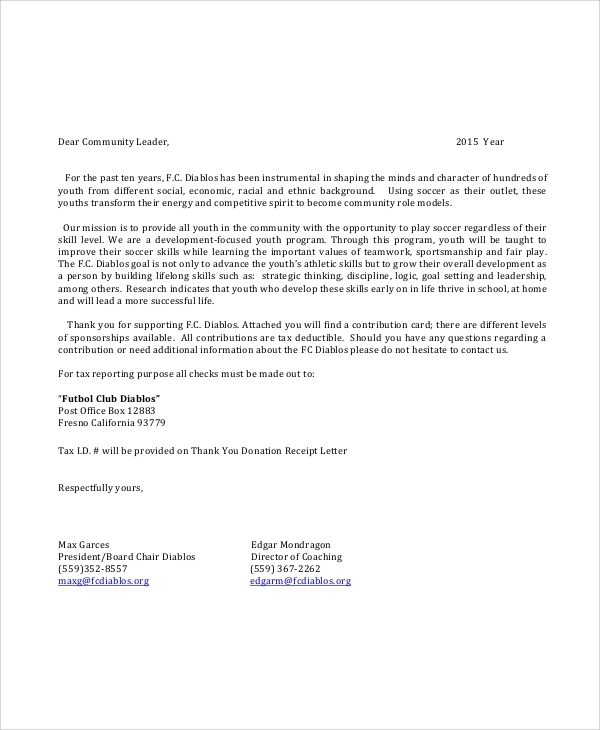 The content of the request letter has the direct message for sponsoring the candidates or students. It gives all the eligibility and capability details about the student. The university or college can have a record of such letter for future reference. 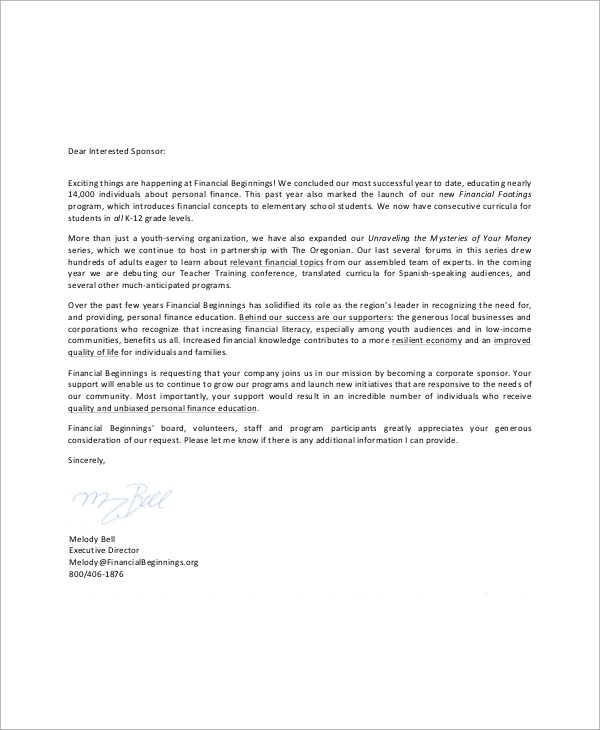 All the template for event sponsorship letter or sponsorship proposal is available in both the format documents and pdf. All the documents are compatible with all the versions. As we are customer oriented, and their satisfaction and requirement are always taken into consideration and would be fulfilled on a priority basis. You can also see Formal Request Letters.